The upstream industry ﬁnds and produces crude oil and natural gas. The upstream is sometimes known as the exploration and production (E&P) sector. 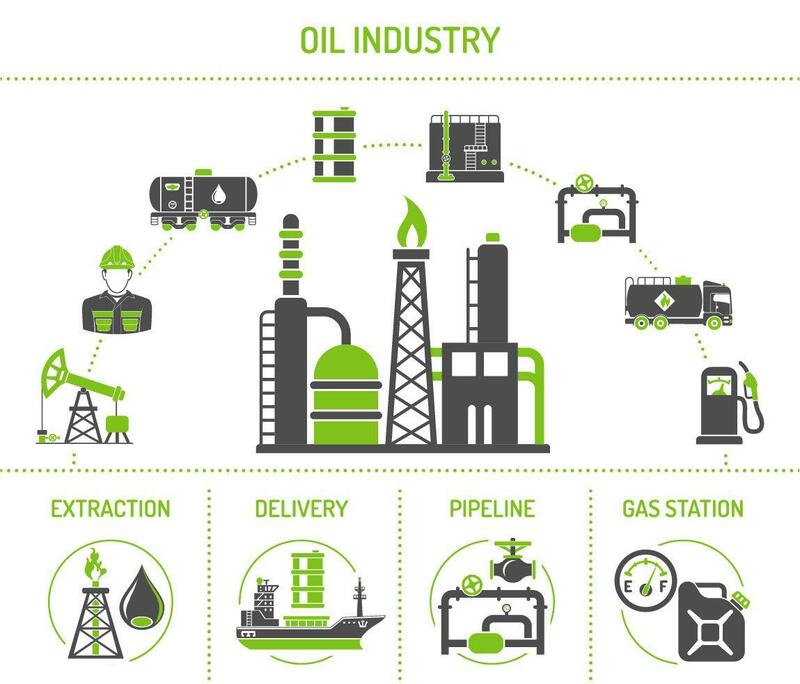 The midstream industry processes, stores, markets and transports commodities such as crude oil, natural gas, natural gas liquids (NGLs, mainly ethane, propane and butane) and sulphur. The midstream provides the vital link between the far-ﬂung petroleum producing areas and the population centres where most consumers are located. asphalt, lubricants, synthetic rubber. plastic, fertilizers, antifreeze, pesticides, pharmaceuticals, natural gas and propane.